The Young Australia League (YAL) building in Murray Street was erected in 1924 as both a headquarters for the League and as a memorial for its members which had fallen in World War I. The YAL had been founded by Jack Simons in 1905 as a means of encouraging Australian nationalism and patriotic values among young people. Founded as an Australian football league, the Young Australia League’s activities were expanded to include literature, debating, band music, sport and theatrical performances, as well as hiking and camping. The League now promoted Australian nationalism, with the aim of becoming the largest boys club in the British Empire. Designed by architectural firm Oldham, Boas & Ednie-Brown, the main feature of the YAL club was the ‘memorial hall’ which doubled as a ballroom. The basement was a large gymnasium designed “on most modern lines”, while the top floor had a library, billiard room, and reading rooms. When the League saw a decline in membership from the 1970s, In the 1970s, Gilkison Dance Studio carried out alterations to the building, including converting the verandah along the west wall of the ballroom into a bar and offices. Today, the Young Australia League building remains in use as YAL headquarters, as well as being a place of entertainment for many Western Australian residents. Simons was secretary of the Western Australian Football Association (WAFA) and believed the invasion of soccer, rugby and other ‘non-Australian’ sports were threatening the domestic game. The Young Australia Football League was formed in 1905 to promote football. The League organised tours for young Western Australian football players to promote the Australian Rules. Within a short time, the YAFL changed its name to ‘Young Australia League’, and its activities were expanded to include literature, debating, band music, sport and theatrical performances, as well as hiking and camping. The League now promoted Australian nationalism, with the aim of becoming the largest boys club in the British Empire. The building was described as being in the Renaissance style and was carried out in ‘imitation Donnybrook stone’. One of the special constructional features of the building was four reinforced concrete beams to carry the ballroom floor, which were the largest in Western Australia at the time. The YAL headquarters was opened by the West Australian Governor in November 1924 and dedicated to the 86 YAL young men who fell in World War I. The building, it was said, was designed to excite the admiration of young Australians to serve the State or Commonwealth whether in peace or war. When the League saw a decline in membership from the 1970s, In the 1970s, Gilkison Dance Studio carried out alterations to the building, including converting the verandah along the west wall of the ballroom into a bar and offices. In the 1980s, Gilkison Dance Studio converted the writing room and library on the second floor to a rehearsal room. Subsequently, the YAL has also hosted a number of entertainment and nightclubs. 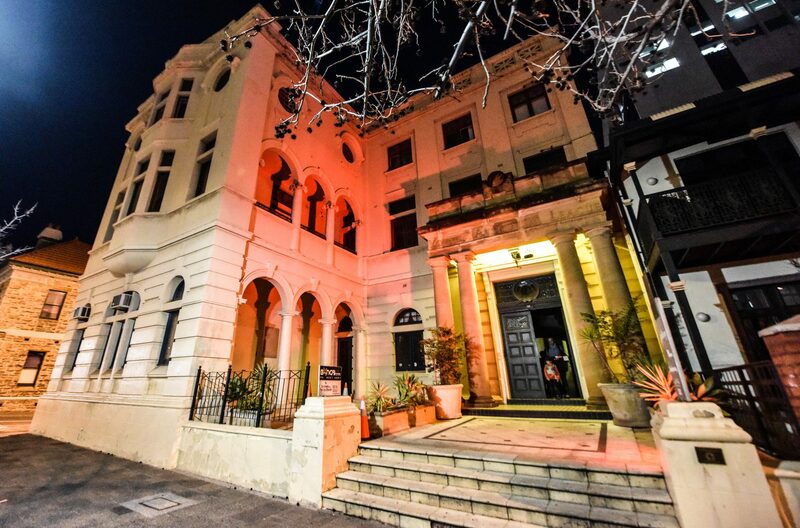 Today, the Young Australia League building remains in use as YAL headquarters, as well as being a place of entertainment for many Western Australian residents.